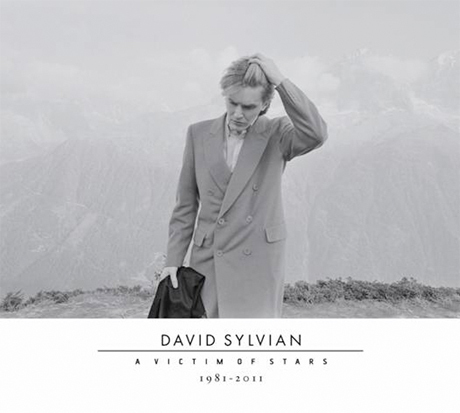 Between his early work as the frontman of Japan and his acclaimed solo work and collaborations, David Sylvian has amassed an impressive body of work, and much of it will be toasted on an upcoming anthology called A Victim of Stars, 1981-2011. The two-disc set arrives care of EMI on February 27. The 30-track collection covers 30 years of music from the eclectic art pop singer, starting with a remix of Japan's 1981 single "Ghosts" and running straight through to more modern work off his 2009 set Manafon and its 2011 sister album Died in the Wool. The collection is capped with a brand new song, "Where's Your Gravity." Along the way, Sylvian collaborated with forward-thinking musicians like pop eccentric/avant-classical composer Ryuichi Sakamoto ("Bamboo Houses"), Robert Fripp and Can's Holger Czukay. However, neither of Czukay's lengthy collaborative works with Sylvian (1988's Plight and Premonition and 1989's Flux + Mutability) are covered on A Victim of Stars, 1981-2011. So far this appears to be a UK release, with no firm announcement that this set will come to North American. You can check the tracklisting below and the cover above. 6. "The Ink In The Well"
10. "Let The Happiness In"
15. "Every Colour You Are"
16. "Heartbeat (Tainai Kaiki II)"
5. "A Fire In The Forest"
9. "The Banality Of Evil"
11. "Snow White in Appalachia"
13. "I Should Not Dare"